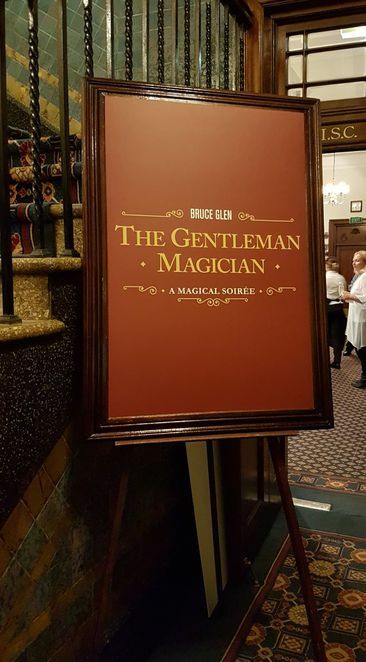 In an intimate evening hosted at the Royal Automobile Club of Australia, Bruce Glen (aka The Gentleman Magician) takes us on an enchanting historical journey of Sydney through the wonder of magic. Each Friday magician Bruce Glen performs for an intimate guest list of up to 70 people. The dress code is impressive, as it is hosted at such an exclusive club but is quite fitting. Bruce has been practicing magic for the past 15 years and is one of the select few admitted as an Associate of the Inner Magic Circle, the most exclusive and prestigious magic club worldwide! Upon arrival, guests are greeted with a glass of champagne and delicious canapes – duck spring rolls, satay sticks and prosciutto wrapped morsels of deliciousness! I recommend an early arrival to really enjoy the treats. 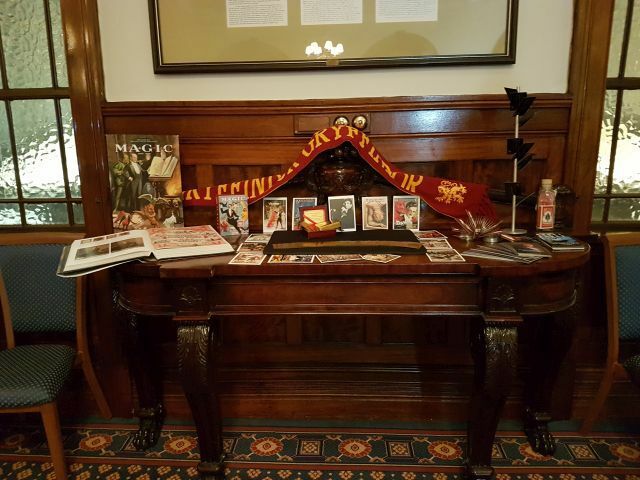 The room was decorated with magic props and books to explore. As we were ushered to our seats we were welcomed with a magical 'menu' with proposed acts for the evening. Bruce's signature piece 'Percy pitch' is the original magical concept of 'one cup and one ball' – Bruce has recreated the piece with a rhyming script in the style of Australian Poet Banjo Patterson to give it a more personalised delivery. Some other acts are inspired by other magicians such as Bob Carver, Tony Slydini and Daryl Easton. It is so hard to place a favourite act but the types that blew my mind were the psychic abilities. Bruce had mind reading techniques that have even the sceptics in the audience wondering HOW was that possible?! Bruce is true to his performance name and is an absolute charm, happy to meet and greet with guests and have a chat and photo opportunity. The show is most suitable for a mature audience, perfect for a date night or special night with friends and family. I left the magical soiree in awe, sometimes people take life a little too seriously and get caught up in our fast-paced society. Bruce certainly encapsulated the magic of imagination and reminded me of the beauty of wonder. I can't wait to return to another show in the near future!